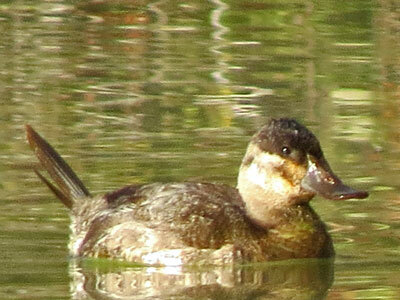 The ruddy duck is one of several small diving ducks that winter in the Chesapeake Bay. 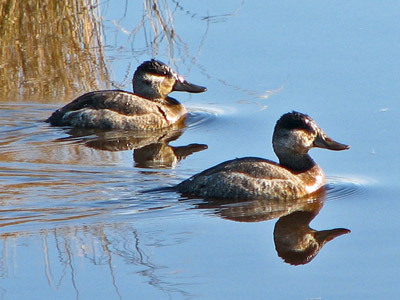 Ruddy ducks are often seen feeding and socializing in small groups. They prefer sheltered coves, lagoons, small creeks, rivers, and ponds. Male ruddy ducks can be identified by their short, upturned tails. 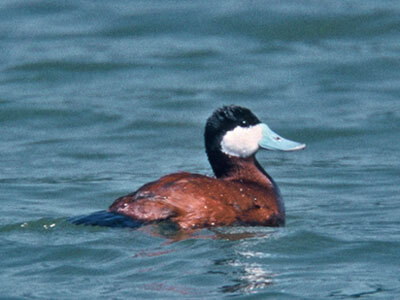 Male ruddy ducks have deep red plumage and white cheeks during the breeding season.